Every working dog bag should have a few of these handy warming pouches in it. This product comes in two types of pouches. One is for the feet and one is for the hands. The foot warmer can be placed in your shoes and lasts up to 6 hours. 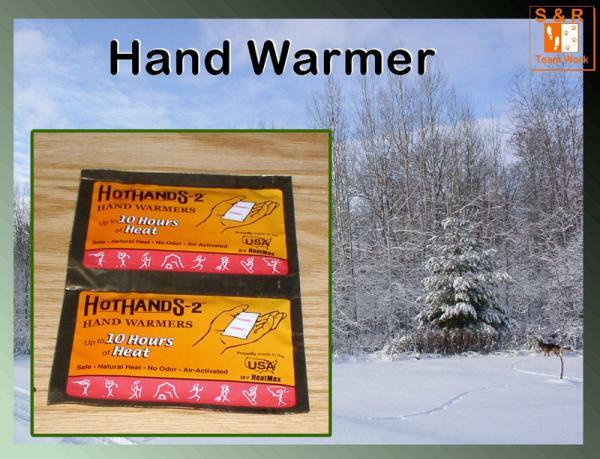 The hand warmers can be placed in your gloves or coat pocket and lasts up to 10 hours. If you have a dog that does not want to or can’t keep on the boots then these are nice on a break to warm up the dog’s feet. 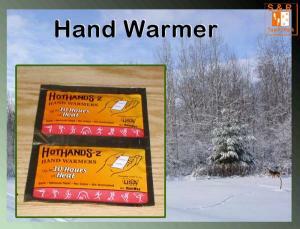 These pouches are safe, natural heat with no odor. They are activated by air. You can choose either the hand or the foot warmer pouches and they are sold in sets of 2, perfect for a pair of boots or gloves.